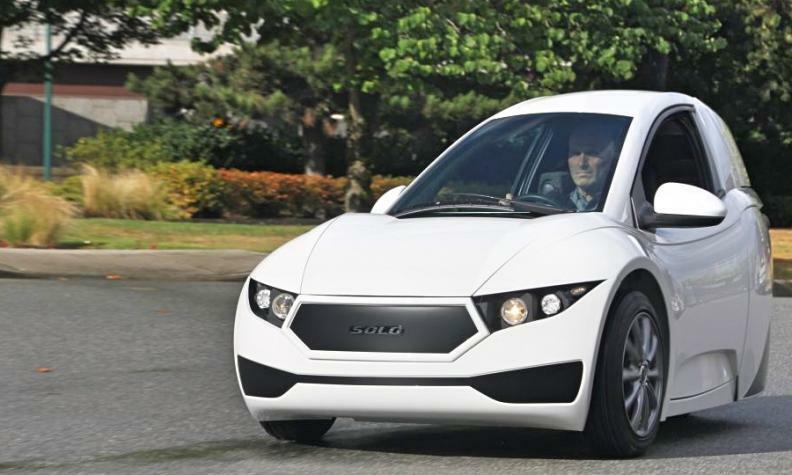 The three-wheeled Solo has a base price of just below $20,000. VANCOUVER – Electra Meccanica Vehicles Corp. is moving to add wireless charging to its single-seat Solo electric commuter vehicle. The Vancouver-based company says it contracted engineering consultancy Ricardo PLC to integrate Qualcomm’s Halo wireless charging technology onto the Solo, a three-wheeled EV. Work was done by Ricardo’s hybrid and electronic systems team based at its Santa Clara, Calif., technical centre. Electra Meccanica said wireless charging is essential to a planned autonomous version of the Solo. Current Solo EVs require drivers to plug in a charging cable. Qualcomm’s Halo’s technology uses resonant magnetic induction to transfer energy wirelessly from a ground-based pad to a pad on the vehicle without action by the user. The technology was integrated onto a Solo demonstrator and testing was completed in Vancouver in January, the companies said in a joint release. Electra Meccanica spokesman Jeff Holland told Automotive News Canada the program is at an early stage and timing for use on production Solos depends on the pace of development. “The goal is to make this standard equipment although we may offer it as optional in the interim,” he said via email. The Solo lists for just below $20,000 and offers 160-kilometre range. A number of pre-production units have been delivered in the Vancouver area, New York and southern California, said Holland, and the vehicle awaits certification from U.S. and Canadian regulators.